Meum athamanticum also known as bearwort, baldmoney or spignel is a very ornamental is somewhat rare British native perennial with fine, almost fern-like leaves. 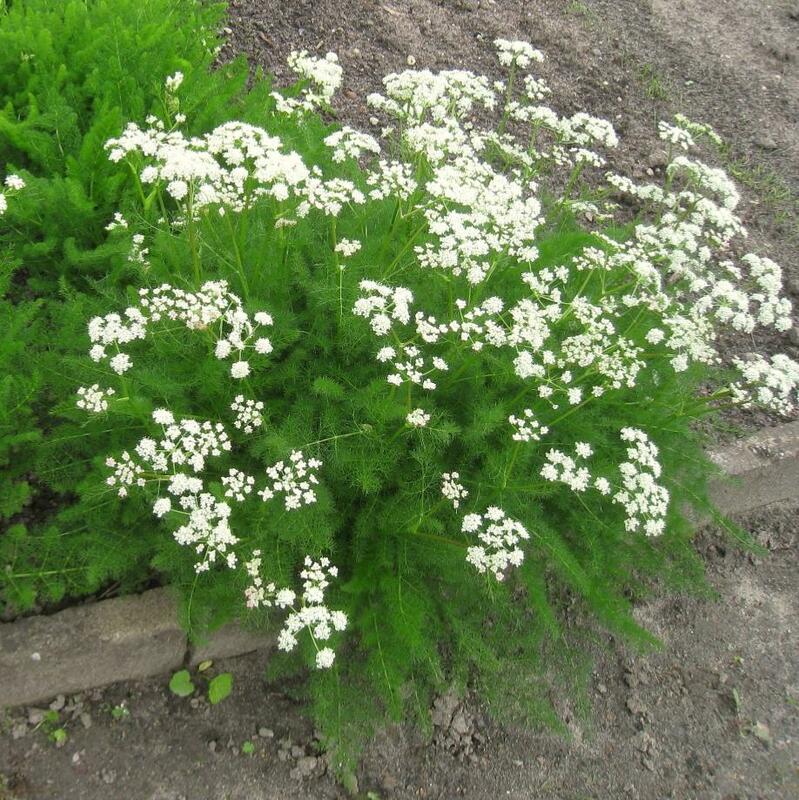 It is a luxuriant natural perennial native also in the mountainous areas of Europe, where it grows in alpine meadows. In Britain it grows best in the sheep-grazed Scottish Highlands. The leaves are beautiful, dark green and as fine as the maidenhair fern. The inflorescences are typical of the umbellifers, appearing about midway through summer they are creamy white in flat heads about 5-7cms across and growing up to 60cm in height. Meum athamanticum is long-lived, and given the space improves with each year. 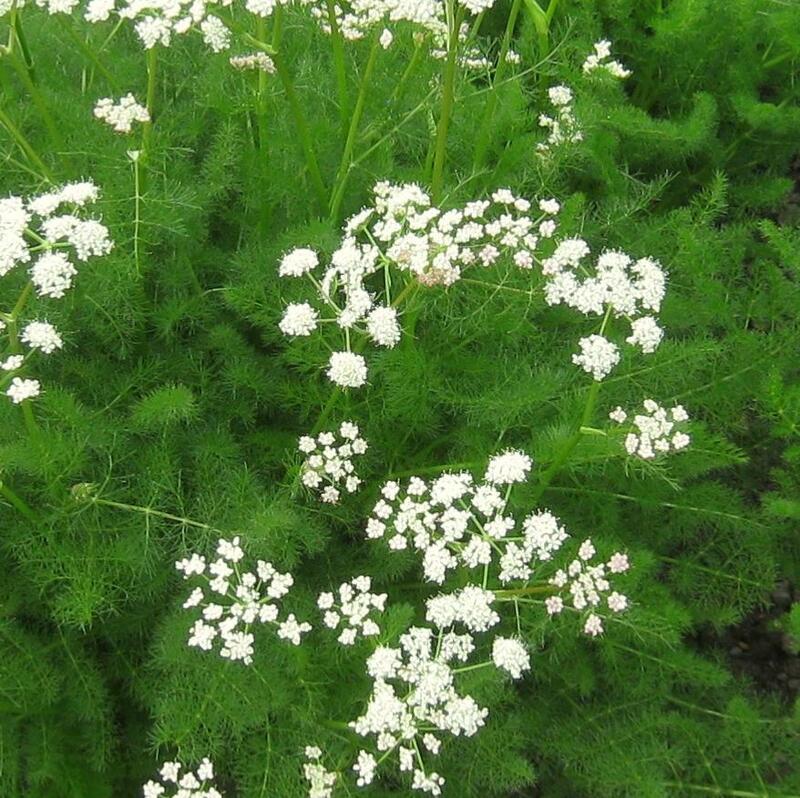 Meum athamanticum needs little attention, the strong main carrot like root ensures the plant can survive even in difficult conditions. In better soil, development into a dense clump is faster. 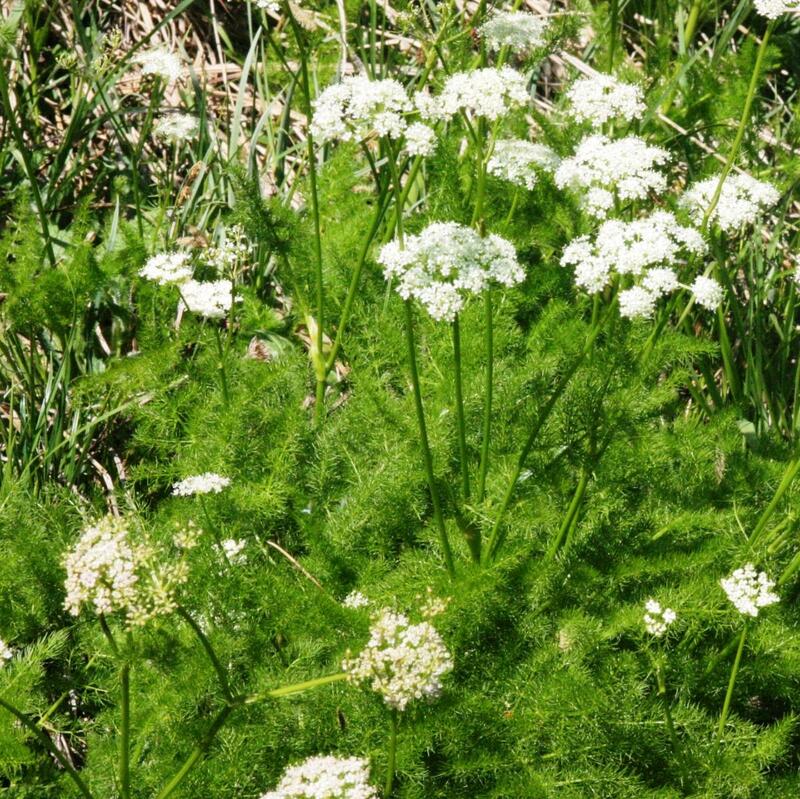 Spignel is an old herbal medicine. The whole plant is extremely aromatic. Both leaves and roots have also been used in soups and stews.